Not enough attention is paid to the Baltic independence movement that took place outside of Estonia, Latvia and Lithuania. The movement consisted of many component parts, each having a common goal but operating mostly independently. While no one entity or person, inside or outside of the Baltic States can legitimately claim sole responsibility for Estonia, Latvia and Lithuania reacquiring independence, the organization Baltic Appeal to the United Nations (BATUN) made a unique contribution. 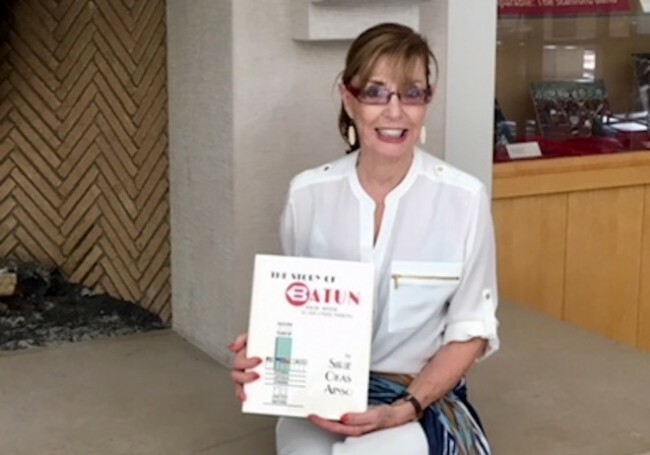 Sirje Okas Ainso’s book “The Story of BATUN: Baltic Appeal to the United Nations” (first published in 2018) is a chronological presentation of the work done by BATUN’s members. It sets out a step-by-step outline of the audacious goals of the independence movement and shows the part played by BATUN in transforming the audacious into the attainable. Ainso begins her account by describing the catalyst for the formation of BATUN – a proposed 1965 resolution drafted by an ad hoc group of Baltic activists spearheaded by the Committee to Restore Lithuania’s Independence. The resolution was titled “Baltic Appeal to the Conscience of the United Nations” and it addressed “The Baltic Question” – the Soviet Union’s illegal occupation of Estonia, Latvia and Lithuania. The activists sought to have their resolution set as an agenda item, to be debated and acted on by the United Nations’ General Assembly and Special Commitee on Decolonization. 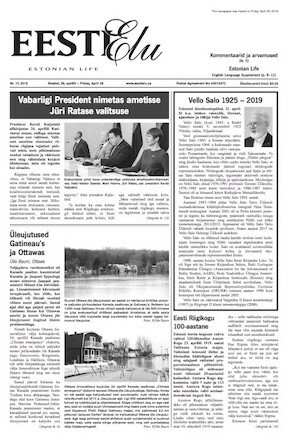 While the proposed resolution never became an agenda item for the General Assembly, the activists’ success in publicizing and organizing public support for their resolution represented a new stage of Baltic activism – an activism that was designed to maintain and enhance the continued political viability of The Baltic Question. Taking advantage of the momentum generated by the 1965 campaign some of the activists proceeded to form a member-supported, nongovernmental organization. Through this entity BATUN’s members and supporters expanded their campaign and repeatedly raised the issue of the Soviet Union’s occupation of the Baltic States. They named their entity “Baltic Appeal to the United Nations,” almost always referred to as BATUN. BATUN was part of a common front of Baltic organizations that publicized the Soviet Union’s illegal occupation of Estonia, Latvia and Lithuania. 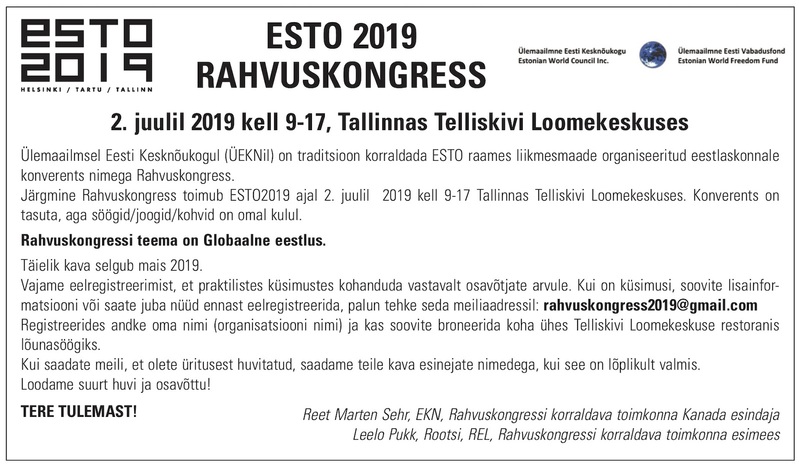 Ethnic organizations such as the Estonian American National Council (ERKU) and American Latvian Association (ALA) co-existed with pan-Baltic organizations such as Joint Baltic American National Committee (JBANC), Baltic American Freedom League (BAFL) and BATUN. However, while Ainso does not mention the subject, coexistence did not always mean strife free coexistence – with one exception. As far as I recall, BATUN was unique in that it co-existed peacefully with all other pan Baltic and ethnic organizations. Perhaps one reason was that its sole activity was to raise The Baltic Question through the United Nations – a target pretty much ignored by the other organizations. Those other organizations concentrated their efforts on influencing members of Congress, local politicians and the press. Hence, while other organizations sometimes battled each other for preeminence in lobbying Congress and garnering press coverage for Estonia, Latvia and Lithuania, BATUN occupied a different turf and was not seen as a competitor. Efforts at influencing the United Nations were, I believe, universally accepted as BATUN’s area of expertise. Documenting BATUN’s efforts is what this book excels in. “The Story of BATUN” is a gratifying addition to the current sparse history of that period. It refreshes memories for those who participated and is a readable history for those who did not. The book has a name index and includes an extensive collection of historic photographs. The Appendix of documents is invaluable to anyone interested in the activities of the Baltic diaspora during the years of occupation. Ainso states that the book is “my honest attempt not to let this important phase in the lives of an idealistically minded group of Baltic exiles slide into oblivion. Keeping the past alive, and in perspective, may also eventually inspire others to fight for due justice – no matter in what field or capacity.” She has succeeded admirably. Sirje Okas Ainso was an active participant in BATUN. She also met her husband Heino Ainso a four-time president of BATUN, while engaged with BATUN’s activities. The book is in English and may be purchased directly from the author (e-mail See e-posti aadress on spämmirobotite eest kaitstud. Selle nägemiseks peab su veebilehitsejas olema JavaSkript sisse lülitatud.) for $39.00 plus $6.00 domestic US postage for a total of $45.